Here we go! 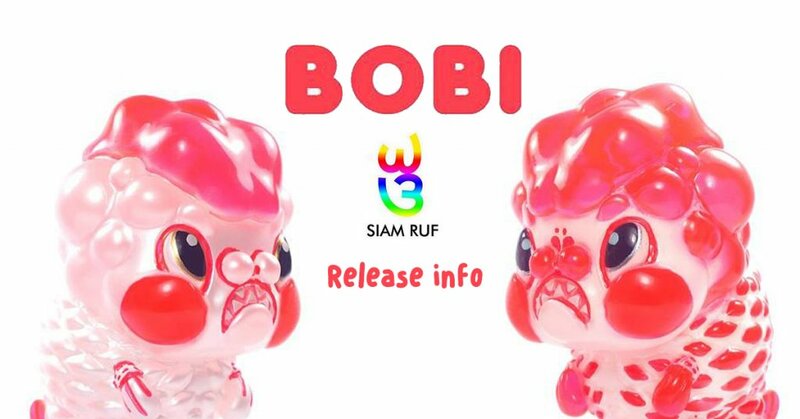 As promised we bring you the release info for Thailands SI-AM RUF aka Sam Siam Ruf resin figure “BoBi”! You won’t find this fish at your local circus or carnival fair! From the creator who brought you “KINGII” Thailands SI-AM RUF aka Sam Siam Ruf is back with an all-new resin figure. Meet BOBI! His take on Ingot Oranda goldfish, Nemo look away as a new fish is in town. For now, two breeds of BOBI will be made available with a lovely pearlescent finish and those funny expressions like BOBI don’t like water, HA. EDITION: BoBi : 50 pcs. ~~ White BoBi : 30 pcs. – Asia zone : 10 usd. – Euro zone : 23 usd. Check out the Facebook LIVE feed at Thailand Toy Expo 2017 Si-am Ruf booth below. Find Si-am Ruf on Instagram and Facebook.